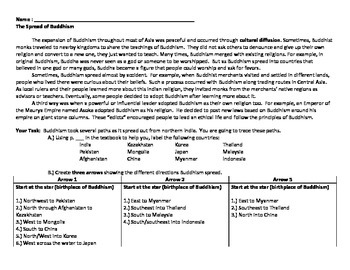 Resource includes a description of the spread of Buddhism and the concept of cultural diffusion and culminate with a map activity. 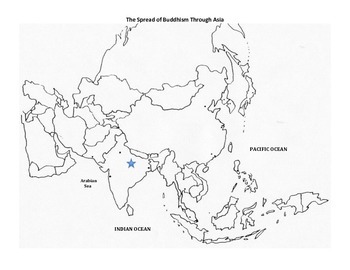 Using an atlas or textbook for reference, students trace the three different directions that Buddhism spread from India. Great for a geography or world history course that is looking to introduce students to the political geography of Asia.